The openness and honesty displayed by small children makes for fascinating studies into the experiences of what happens when we die. Small Children often have memories of a former physical lifetime that can be verified through thorough research by parents. This phenomenon is surprisingly common but often not recognised due to ignorance of the subject by parents. 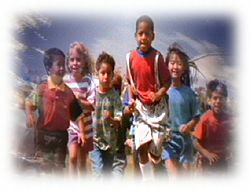 "The Children that Time Forgot" investigates the reports from many parents around the world of their children spontaneously remembering and speaking about a former physical lifetime. The results of intensive research, actually indicate that many small children have these memories. However, by the time a child starts to interact with others outside the home these memories of a previous life can start to fade rapidly. As a child starts to learn from the society in which they live about what it is accepted as real and what is accepted as fantasy these memories disappear even more rapidly. Many small children make unusual comments that don’t seem to make any sense to their parents . There have been many cases were a small child has said something like "When I was a grownup I had three of my own children and we lived in a big house in the country". Many parents have dismissed such comments as idle chatter & have not paid much attention these very important cues. However, some attentive parents have asked their children to explain what they actually mean. As a result of this questioning some parents have not only discovered a very interesting “story” indeed but one that can actually be verified as being evidence for a child’s real memories of a former physical lifetime.. The child may even describe the town in which they lived, giving their own former name and other precise details. The more the child speaks about their memories, the more other details and events can be recollected. This is the nature of human memory. Memories seem to be linked together in chains of events. Thus when a small child starts to remember small fragments of a former lifetime, quite naturally more memories come to the surface. There have been many cases of children remembering previous lives. In a number of these cases the parents of the child have checked old historical and genealogical records only to discover that not only was the child's story accurate as far as history goes, but the person who they claim to have been in that former lifetime really existed and lived their lives in the manner described by the child.